Serbian unexplored mining potentials are proven with number of successful research drilling results reported by investment companies from Canada and US. Golden rush in Serbia was officially promoted after announcements of drilling results in eastern regions of Timok. Being careful and strategic in mining is the key pillar of success often comments the mining engineers and mining professors. State has to enable the investor friendly conditions for developers but in the same time it has to protect its own interests. Beside the mining ministry statements on Gov intention to work with investors there are mining and environment experts raising the attention to fact that State also have bear in mind the interest of all stakeholders. Joint venture company Rakita Exploration, owned by major US company Freeport McMoRaN and minor Reservoir Minerals, research results on the world biggest gold reserves found in eastern Timok region triggered the stakeholders. Medias were racing in reports on the value of the reserves transmitting that Cukaru Peka location record shows 50,3 g of gold per ton which is an absolut world record. However Rakita Exploration Bor Ltd, a local branch of FM did not wanted to comment to local medias on this results. Resarch on stock market watch services shows that Reservoir did promoted its results with goal to increase its company value and realize a strong PR strategy with such a big name along side like the Freeport is. The Sedar rules as well as the shareholder stock market rules do oblige the companies to report on its activities and this is exactly what Canadian based junior mining company Reservoir Minerals did, reporting on 65,3 million ton with concentration of 2,6% copper and 1,5 gram of gold per ton including one area of 6,8 million tons with 9,6% of copper grade and 6,9 gram of gold per ton. Reports show that some drilling result had rich copper and gold layers. In one area of 291 meters results show average of 5,13 copper grade and 2,4 gold grade. In area of 160m in one drill hole result showed concentration of 6,92% copper grade and 5 gram of gold per ton. If we take into consideration that the Cukaru Peka location has 1,6 million tons of copper and 94,5 million tons of gold the projections are clear. Its not real to expect that the mining exploration can start any time soon. It takes five to ten years of research activities. Opening of mine on this type of location and with this amount of raw grade materials requires billions of euros of investments. Of course that Serbia does not have the resources, financing or experts, to continue alone in exploring of this richness but strategic partnership with institutional investors should be well promoted. Such partnerships require special tailor made stakeholder relations and PR strategy otherwise the investor may face delays and risks in financing, thru loans or stock market, and realization. Advocacy campaign should start proactively on time in order to build up reliable sustainable partnerships with all stakeholders. Commodities financial actors are monitoring the mining research projects, eyes from US/Canada/UK/Germany/Swiss, assessing the reputation and other risk of the projects. One might say that investors are undermining the local news on their projects which are being transmitted throughout commodities business community worldwide. 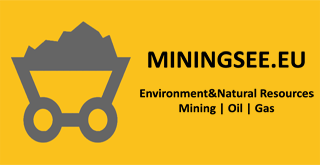 Parallel with economic development of the mining sector, exploration of natural resources posses the biggest polluter of environment with significant influence on nature. Such environment risks have to assessed and calculated both by the state and investor. The developers interest is clear but the state would have to consider environment risks and costs and share it with investors. Mining metal rent fee in Serbia is on the level of 5% on the basis price obtained from processing facility. Incomes from mining rents are not the only aspects coming from these activities. More important or at least equally important are the salaries, contributions, taxes and fees which are being paid to state and local budgets which are directly influencing the life standard of many communities. There are also bad examples in US and Canada, results published by Green NGOs that mining companies are underestimating the costs of mines closure and environment mitigation costs. Incident in Romania in mine Baia Mare when the tailing damn collapsed polluted the water systems in all region and endangered the water supply for 2.5 million inhabitants. Effects were noticed in Serbia and Hungary as well thru polluted rivers and water streams. The costs of this accident were that high that company insurance was not able to cover it. The investors filled the bankruptcy request and saved their interests with exit strategy. The copper gold Cukaru Peka location may prove financially feasible and acceptable from environment point of view but for sure it will have to be a modern underground mine. Serbian environment regulations are harmonized with EU regulations, companies have their own internal environment policies so we can expect nothing but responsible environment friendly mining. Beside the cyanide usage in extraction of gold there are other methods and technological solutions. Companies are sensitive on environment risks and issues, their shareholders are also sensitive on any Reputation Risks coming from main operation risks explains the consultant of SEMC Stakeholder Relations Mining Consultancy. NGOs from main commodities financial centers get involved from start of the research projects and later conduct constant monitoring mining exploration with local partners explains SEMC Mining consultants. Establishment of proactive transparent platform and sustainable stakeholders partnership ensures the mining developers a lower risk operations, any delays or postponing of such activities later have high costs in many areas explains Stakeholder Mining Consultants from SEMC.